I've found this great idea of incorporating a small bath room inside your bedroom. It is plain, simple and compact but served it's purpose. This is a quick solution for those who wanted to have a bath room inside their own bedroom but is having a problem with space. The choice of color for the tiles on the floor and on the wall was made in such a way that it will create a contrast on the overall appearance of the master bedroom. 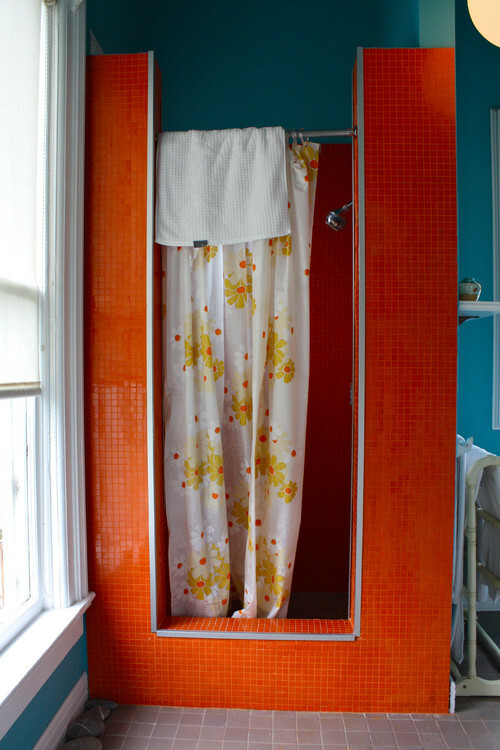 A perfect choice of a shower curtain would also add up to the overall impact of the adjoining bath. This bathroom idea is very practical and uniquely done. I'm dreaming of having my own house too.